Salisbury Terrace, on Reckleford, was built by William Tucker in the 1890s on waste land lying between Reckleford and Vicarage Street as shown on the maps below. John Neal's rope works were in Reckleford and a rope walk is shown running parallel to Reckleford Hill on Watt’s map of 1831. It was on the south side of today's Reckleford, opposite Goldcroft, but in 1848 his rope factory was destroyed by fire. 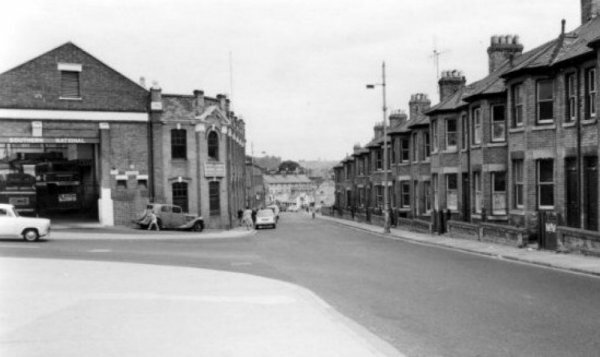 Salisbury Terrace, built on the site of the old rope works, fronted onto Reckleford but had Cecil Street immediately behind it. 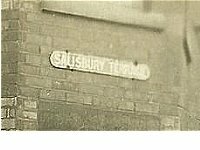 Both Cecil Street and Salisbury Terrace were named after the Prime Minister of the time, Lord Salisbury, whose family name was Cecil. William Tucker was a glover who ran the Glovers Arms from at least 1871 until his death at the turn of the century. However he was an entrepreneur with wide interests and he expanded into glove manufacturing, having invested in the business of F Blake & Co just a few doors along in Reckleford. When William began investing in town development and providing housing for glove workers, he named two of the roads he built after members of his family; Earle Street after his son and Vincent Street, as well as Vincent Place, after his wife's maiden name. The rest of the development were Cecil Street and Salisbury Terrace in Reckleford. Other developments William initiated, which were continued and expanded after his death in 1899 by his son, William Earle Tucker, included Victoria Road, St Michael's Road, and Lyde Road. 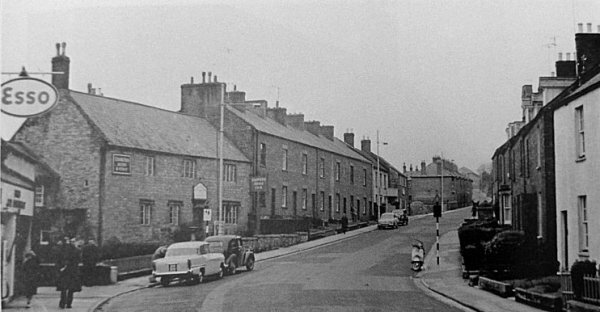 Salisbury Terrace was demolished in the early 1960s for the widening of Reckleford. 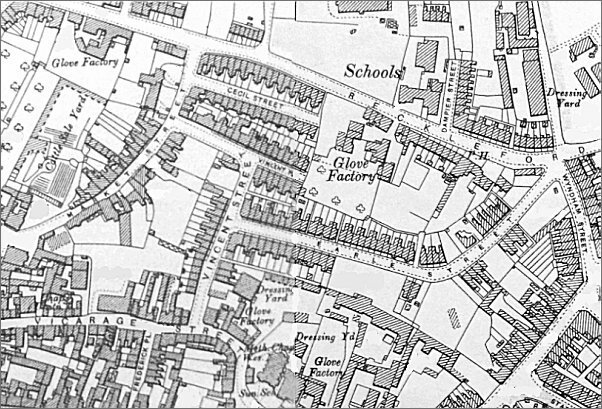 Map based on the 1886 Ordnance Survey showing the undeveloped area between Reckleford, seen running across the top of the map, and Vicarage Street in the lower left corner. 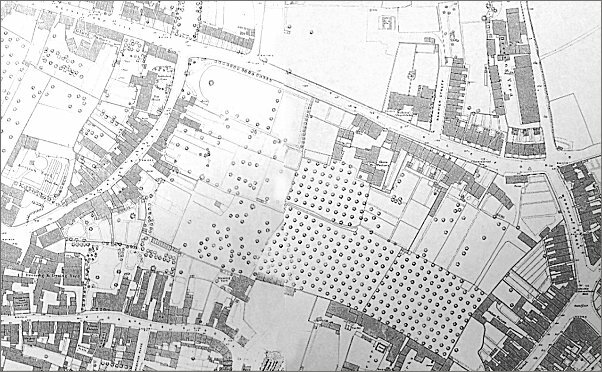 Map based on the 1901 Ordnance Survey showing the same area developed with Earle Street, Vincent Street, Vincent Place and Cecil Street. Salisbury Terrace is to the north of Cecil Street. 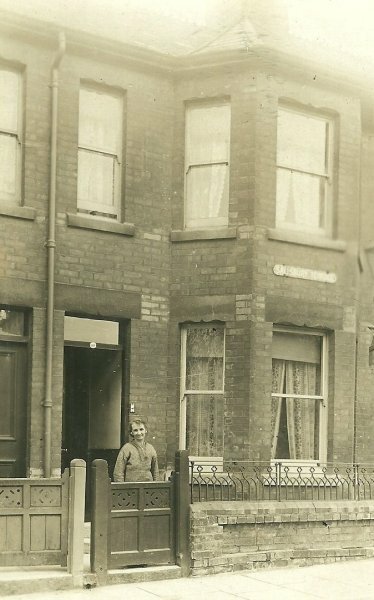 A postcard, probably taken during the 1930s, of a house in Salisbury Terrace - note the street nameplate affixed to the wall of the house. Note too the iron railings surmounting the garden wall; most properties had such railings which were removed during the Second World War for the war effort and today many streets have the remnants of railings. 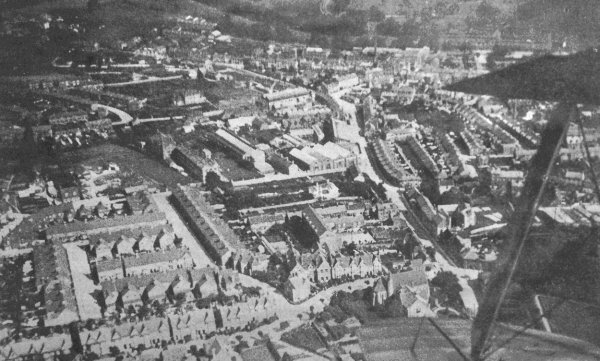 Looking down Reckleford in the early 1960's with Goldcroft and the Nautilus Works at left and Salisbury Terrace at right. 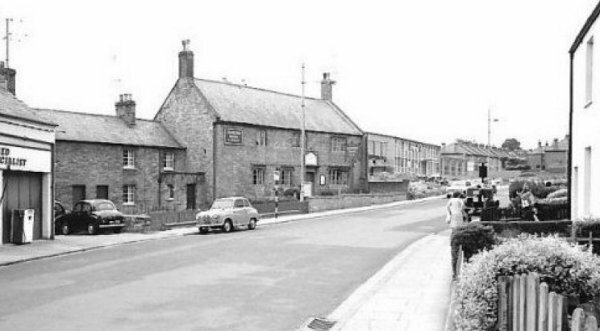 Salisbury Terrace would soon be demolished for the widening of Reckleford to dual carriageway.